Yep, my blog is one year old today. I thought about reflecting back over the last year, but I've decided that's old news. I thought about giving myself a blogiversary present by having all of my posts for the year printed and bound into a book. I found a website to do this. But it would cost over $100.00. Perhaps I will save that for a birthday present, which by the way, is July 1 this year, Ross. I thought that I should write about what I have learned since I began my blog, but that would require way too much introspection for a Saturday night. I thought about making a list of things I could do to improve my blog for the new year. But for now I am kind of happy with my blog. I thought about having a give-a-way to show my appreciation for all of the support I have received from my blogger buddies. But I couldn't think of anything to give-a-way. 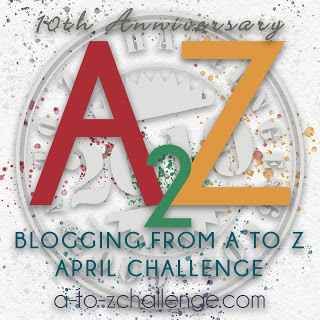 I thought about having a contest for the readers of my blog. But then I would have to have a list of rules and regulations and eligibility requirements and then my legal department would have to get involved. That's way too messy. 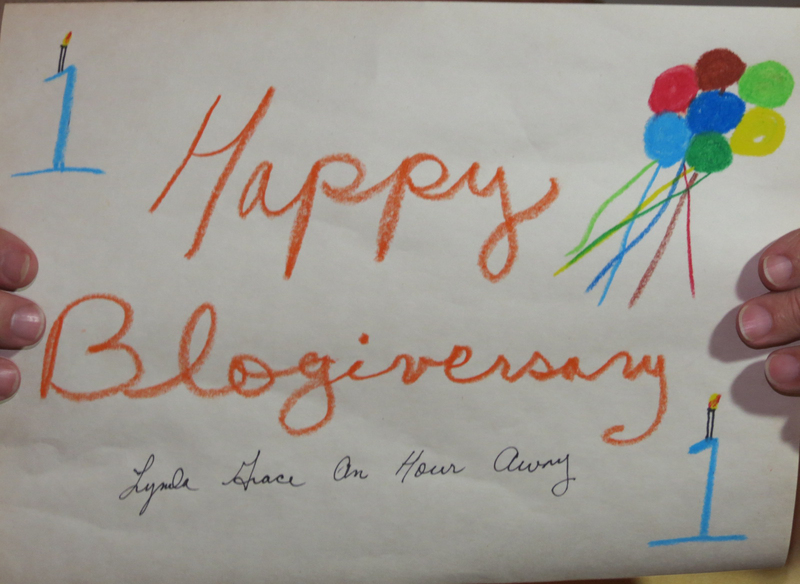 I thought I could make the dog wear a party hat and hold the sign I made in his mouth so that I could take a picture of him for my blogiversary blog. But he kept running away and growling at me every time I tried to put the hat on his head. Ross also refused to wear the hat, but at least he didn't growl at me when I asked him to hold the sign. He did whine that his arms were starting to hurt and after only 50 or so pictures. Geez. I thought about taking the night off and not writing a post but how could I possibly celebrate my blogiversay without blogging. That just did not make much sense. 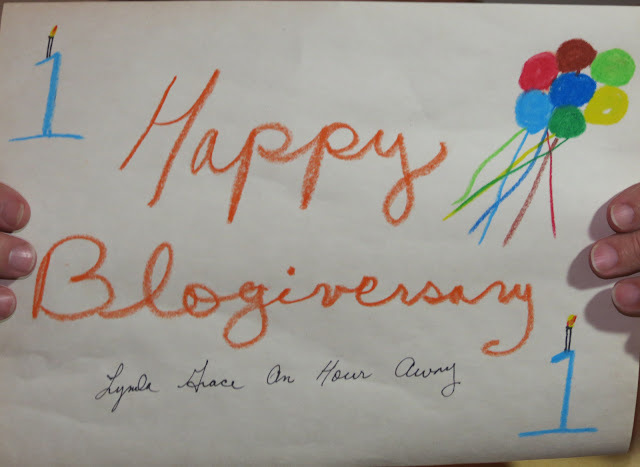 So I finally figured out what to do to celebrate my one year blogiversary. Do what I always do. Today I gave the eulogy at the memorial service for my Uncle Pat. I was honored that my aunt asked me to do it. I would like to share a little part of what I wrote. It is a story about my uncle. I hope it conveys the essence of the man my Uncle Pat was. The Beautiful Bride and the Man on The Bench. One time…Oh, this was years ago, on a bright and sunny day in September a man was sitting on a bench on the boardwalk down the shore, his cane propped up next to him. From his green wooden slatted perch he watched a crowd of people milling about down on the beach. At times he would shield his eyes with his hand, his head moving back and forth as if he were looking for someone. Then he would wave and a woman with red hair would wave back. He continued to sit peacefully enjoying the warmth of the sun, and watching the crowd, but always making sure the woman with the red hair remained in his sights. A young woman came onto the boardwalk. She was dressed in a long flowing white gown. She wore a crown of flowers on her head and cradled a bouquet of roses in her arms. She appeared to be very nervous. The man on the bench turned his head as he felt the vibrations of the quickened footsteps of the anxious bride. He looked up. The bride seemed surprised to see the man. The man greeted her with a warm smile. “Susie, there you are.” I’ve been waiting for you,” he said. "You look beautiful." The bride suddenly felt calm and peaceful. Uncle Pat’s welcoming smile always had that effect on her. As Susie made her way down onto the beach, she turned her head and mouthed the words, "thank you, Uncle" and blew him a kiss. Normally at the end of a story I would say “The End.” But this is not the end of Uncle Pat’s story because the memories of his warmth, love and kind nature will always be a part of us. Church at eleven. Dinner at Mrs. Naps. George Leis there visiting. Played bridge after dinner. Jean to sorority meeting. Stopped in at Naps about eight. Left for home. Baby to bed. Read and bed. Mmmm - nice memory. Congratulations on one year! So sorry about your Uncle Pat. What wonderful memories, and honor to give his eulogy. Congratulations on one year! Tell the dog, I really wished he would have cooperated! So, maybe you could post a picture of what you want Ross to get you for your birthday on the fridge! Thanks for your condolences. I think Ross got the hint about the birthday. Rico, the dog, is getting old and grouchy. Thanks. I am glad that I stuck to the blogging. I'm glad you stuck with blogging! and I have no idea now how I found your blog but I am delighted that I did (and now Anne's blog too). You have such a wonderful sense of humor balanced with warmth, thoughtfulness, and intelligent writing. I always look forward to seeing what you have posted. You make me want to write more - well, I always want to write more but that nasty real world of work seems to interfere the most. oh, and wow! I was stoked to see that link to a place where you can get blog posts printed in a book, I have a certain brother for whom that might be the ideal birthday present. and I want to go to dinner at Mrs. Naps......... or just take a nap there. Love reading your blog Lynda! I went from laughing hysterically to crying (happily) in about 3 minutes. You are an amazing writer and story teller. Keep it up! That blog2print thing is pretty neat. I put a book together and really liked the way it came out. I will have to save up my pennies though before I check it out of the cart. The memorial service for Uncle Pat was very lovely. Are you ready for some beach weather? It's comin'! Congratulations on completing your first year. And here's to many more! Thanks for sharing a bit of your eulogy for your Uncle Pat, too. YES! By all means, JT it is -- and I know what you mean about saving up the pennies before checking out the cart. Mark's birthday isn't until September so that helps!